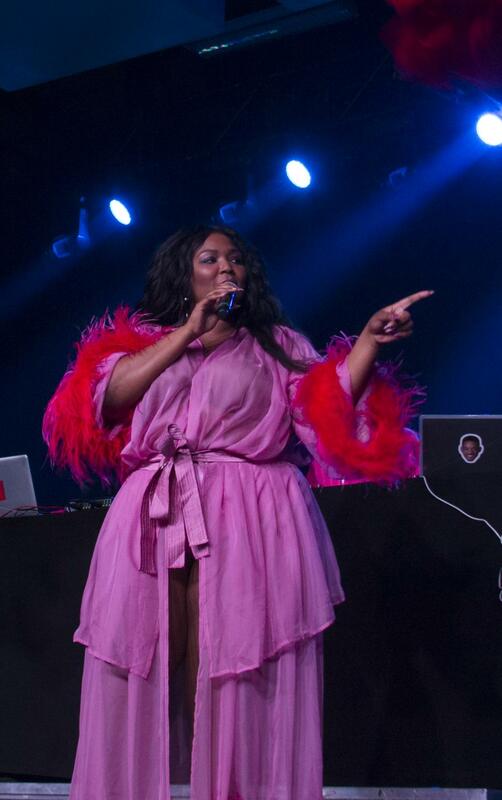 Lizzo performed a censored show at Luther on Sept. 28, 2018. In response to Lizzo’s contract with SAC to perform a clean show, T-Pain will bring the first uncensored concert to Luther. “They told us we can’t twerk on stage tonight … but they ain’t say we couldn’t twerk backstage. (edit: LUTHER COLLEGE IS A CHRISTIAN SCHOOL SO WE HAD TO DO A CLEAN SET — it’s all love! ),” Lizzo wrote as a caption for an Instagram video showing her signature dance moves on Sept. 28, 2018 before her censored performance at Luther. The overwhelmingly negative campus response to Lizzo being asked to perform a clean show marked a turning point in the censorship of artists at Luther, according to John Kuntz (‘19). Kuntz dedicated his COMS 250: Contemporary Journalism midterm project to this campus-wide conversation after he learned that the Student Activities Council Concerts Committee invited T-Pain to perform an uncensored show on May 3. SAC Concerts co-chair Annie Goodroad (‘19) discussed the steps that she and the rest of SAC took to offer T-Pain as an uncensored show this spring. Grammy-winning artist T-Pain will perform Luther’s spring concert on May 3. One example of this type of feedback was Shasa Sartin’s (‘19) opinion piece published in the Oct. 4, 2018 issue of Chips titled “On Lizzo being told she can’t twerk.” According to Kuntz and Goodroad, this article played a significant role in the uncensorship of T-Pain. “This restriction placed on her choreography has everything to do with her being a sexually liberated plus-size Black woman: and it’s nothing new,” Sartin wrote. Goodroad said that SAC Concerts wanted to be sure that the people who felt this way were heard and that changes would be made based on the feedback. SAC Concerts previously had a censorship statement that was included in all contracts sent to artists, so last fall they began changing its language to reflect the possibility of bringing uncensored shows to Luther. According to Goodroad, SAC views this as a living document that reflects the constantly changing world, but they do not normally make edits this large. After Goodroad and SAC Concerts co-chair Lyndsay Monsen (‘19) first discussed the possibility of changing the contract with each other, they then approached Director of Student Activities and the Dahl Centennial Union Trish Neubauer, and the final decision came down to a vote by the SAC Executive Board. To choose an artist for a SAC concert, the SAC co-chairs compile a list of artists, with help from their agent, to find available performers within their price range. They then send a poll to their committee, asking them to choose one artist they would want to come to campus. This year, they extended the vote by encouraging their organization members to forward the poll around the Luther community. Based on the outcome, SAC Concerts worked with their agent to book American rapper, singer, songwriter, and record-producer T-Pain, who won the poll by hundreds of votes. 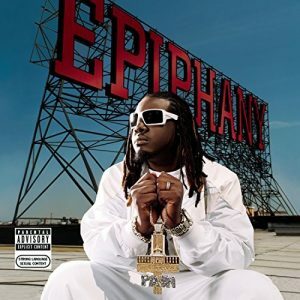 In addition to their desire to change the censorship statement, T-Pain said he was not able to do a censored show due to the explicit nature of his music. According to Goodroad, SAC Concerts was already planning to change the contract statement to allow uncensored shows regardless of the artist, but pursuing T-Pain was another push to make the edits. Abby LeBlanc (‘20) is a fan of Lizzo and was upset when her censorship limited her artistic expression. Ticket sales for the T-Pain concert are doing well, and Goodroad stressed that students should get tickets in advance because they may sell out. The performance will take place on May 3 in Regents Center. IDs will be checked at the door. Doors will open at 7:00 p.m., and there is no opening act which means that T-Pain will go on right at 8:00 p.m.